Become a member of The Pet Divas Team! If you love animals and have a passion working in the pet industry? The Pet Divas are always looking for high energy individuals with flexible schedules that are responsible, reliable and have exceptional customer service skills! 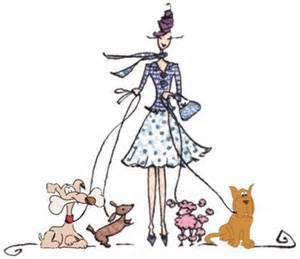 The Pet Divas is the fastest growing pet service business in Dallas, TX! Our clients rely on us to care for their pets and home when they can’t be there. The Pet Divas take great pride in providing professional, reliable, and quality care to ensure the highest level of in-home pet services for our clients. The Pet Divas are interviewing prospective candidates that have the ability to work flexible schedules. We will only consider viable candidates that are serious about working in the pet industry. This means early morning visits before work, some mid-day breaks as available, Evening visits after work, Late night tuck-in visits and or overnight care at the client's home. *We are only looking to employ people who live in the areas that we service. *Candidates must be responsible, mature, reliable and prompt. *Candidates must have strong work ethic, excellent communication skills and great customer service. *Candidates must have a flexible schedule. *Candidates must be willing to work ALL major holidays. *Candidates must be comfortable working with dogs and cats of all sizes and temperaments. *Candidates must have strong animal handling skills. *Candidates must be able to effectively manage large and extra large breeds comfortably. *Candidates must be willing to work in all sorts of inclement weather and or be out in the severe heat. *Candidates must pass a criminal background check. *Candidates must have a reliable, functional cell phone with a data plan. *Candidates must have access to a reliable, functional automobile and retain proof of insurance. *Candidates must have a basic knowledge of pet first aid. Pet CPR certified a plus. *And you must LOVE animals!! If you are interested and feel you meet our qualifications, please contact us to schedule an interview.